What’s one thing all humans throughout the centuries have in common? How about the desire to save money? Or, to put it another way, to “get more stuff” for less cash? In the 14th & 15th centuries, Medieval armies were looking for a way to supply weapons to their growing armies, but they needed a way to do it cheaply without compromising effectiveness in battle. The result? A new weapon commonly known as the halberd. 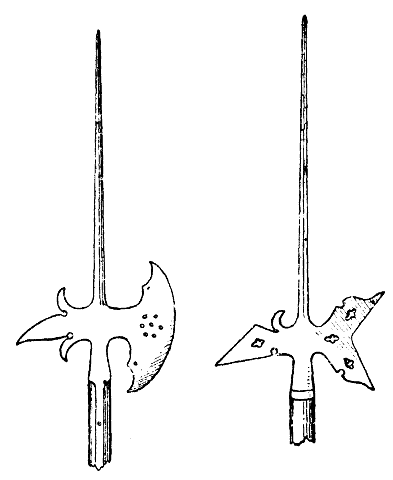 A halberd, also called a halbert or Swiss voulge, is a variety of “pole weapon” that requires two hands to wield. 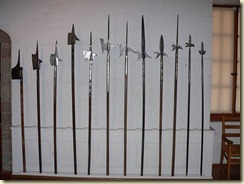 The blade of the weapon is mounted on a 5-6 foot shaft, with an additional long, pointed blade protruding from the top. The two-sided blade is axe-like on the front, and over time the design was refined in on order to better fend off approaching cavalry in battle. On the opposite side of the axe-blade, a sharp hook was added that could be used to snare men on horseback and pull them to the ground. The top part of the weapon shaft was also reinforced with metal, to prevent the halberd from being easily sliced apart by swords. 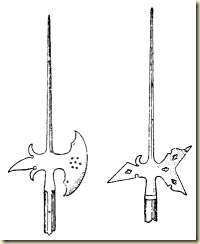 As a result, the halberd became the weapon of choice for Swiss armies in the 14th & 15th centuries, and was quickly imitated by German armies as the weapon’s effectiveness became apparent. It was only when gunpowder warfare became more prominent in European armies—adding more musketeers and arquebuskiers to the front lines—that the halberd found use as a defensive weapon during reloads. 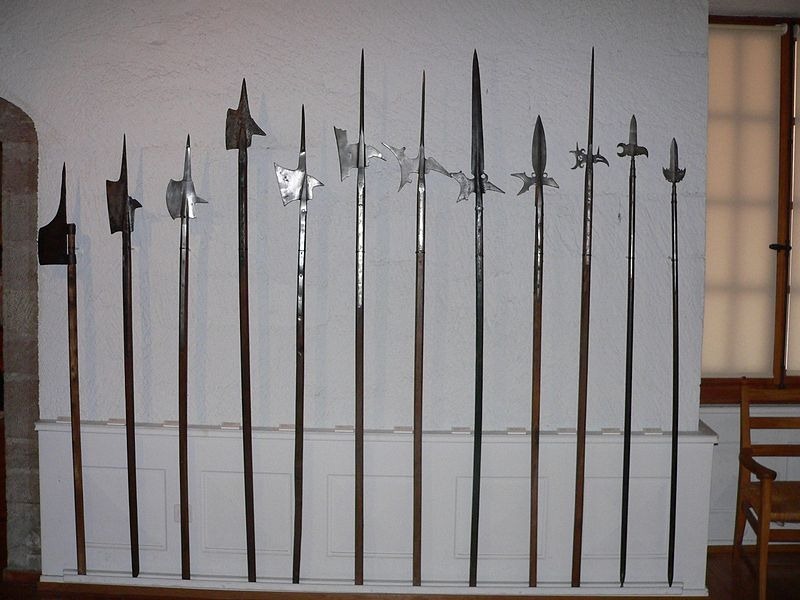 Though the halberd fell into disuse over time, low-ranking European infantrymen carried halberds from the 16th to 18th centuries—and while these Medieval weapons are of course not used in modern warfare, they can be seen in one place specifically… they’re still used as ceremonial weapons by the Vatican’s Swiss Guard! They just don’t make kids’ toys like they used to. Nowadays, head into any dollar store, and you can pick up an assortment of “Made in China” toys that’ll last for about 5 minutes at the hands of any active toddler. Want a toy that actually lasts? Turns out your kids were born in the wrong millennium! 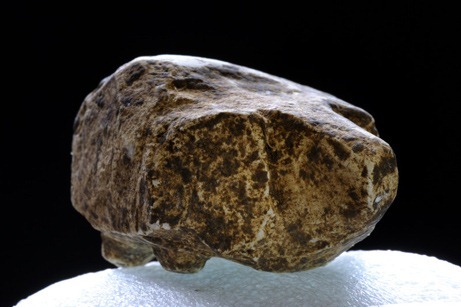 In 2008, archaeologists working at the site of Stonehenge in Britain uncovered a child burial containing a variety of items, such as a pottery vessel (which may have contained food provisions for the child in the afterlife), and most remarkably, a carved chalk toy shaped like an animal. He also noted that once the Iron Age got underway in Britain, it wasn’t uncommon to come across figurines. 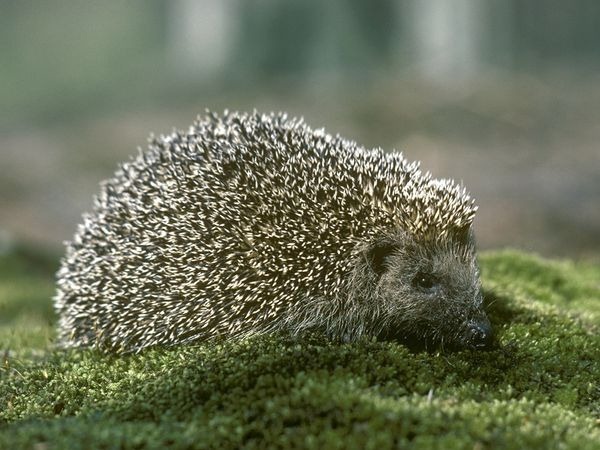 However, it is more or less agreed that this little hedgehog/pig may be the earliest known toy in British history. It was likely made originally as a toy for the infant, or was crafted in memory of the child being stillborn or dying in infancy. As for those who try to suggest that the child’s death was a result of human ritual sacrifice, Pollard reminds the curious that during this time in history, infant mortality was very high, “so there would have been a lot of natural death.” This seems to be substantiated by a second infant burial found nearby which, although it didn’t contain a toy, held the skeleton of a sheep or goat with stones piled over its head (indicating the animal had been ritually sacrificed). Regardless of whether this ancient toy was played with or not, there’s no denying that current toy manufacturers could learn a thing or two from prehistoric toymakers about durability! Don’t panic—Jurassic Park is not imminent! However, it’s not unheard of to find ancient things encased in amber. And recently, scientists uncovered the first 20-million-year-old bat fly fossil in the scientific record. The bat fly is a rare, ancient, bloodsucking insect, and this particular bat fly is even more remarkable due to the parasite it contains: an ancient strain of bat malaria! 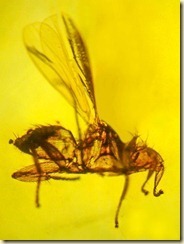 The fly was discovered in a mine in the Dominican Republic by George Poinar, Jr., an expert on amber-preserved insects from Oregon State University. While this particular preserved variety of bat fly is now extinct, bat flies do still exist today, eating an exclusive diet of bat blood. In fact, some varieties of bat flies have adapted themselves to live only on the blood of specific species of bats. Bat flies also very rarely leave their hosts. When they choose a particular bat to feed off of, they’ll cling to its body and feed at their leisure, though they will leave to find a mate and create more bloodsucking baby flies. 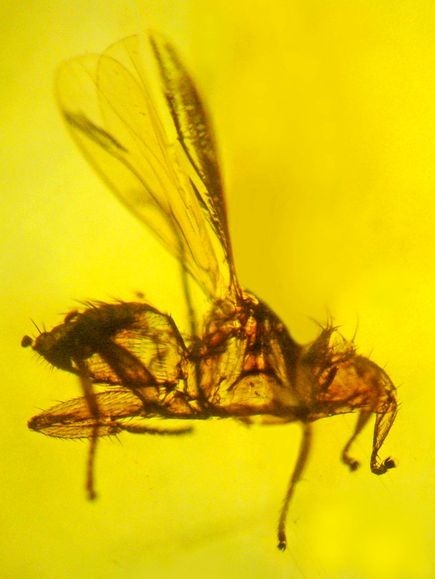 Before this discovery, Poinar worked on extracting DNA of other insects from amber, and was credited by the late author Michael Crichton as providing inspiration for his novel Jurassic Park. Does this mean we’ll see vampire parasites flying around on the back of cloned bats or bat flies anytime soon? That’s probably a good thing for all of us. Resources: Systemic Parasitology (February 2012); Parasites and Vectors (December 2011). This Little Piggy Went to… Europe? Ah, guinea pigs. It’s thought that the Spanish Conquistadors brought the furry little rodents across the sea with them sometime during the 1500s, where they—according to previous common knowledge—frequently appeared on the plates of European aristocrats. However, a recent analysis of guinea pig bones found in 2007 at a home that was once part of the Spanish Empire suggests that these creatures may have actually been more companero than cena. 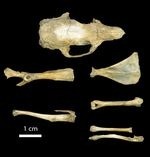 Analysis of the skeleton of the guinea pig, combined with chemical research on its bones and a look at Flemish paintings from this period which depict the animal, has led researchers to conclude that guinea pigs must have been domesticated at this time in Europe, and not necessarily only raised for food. 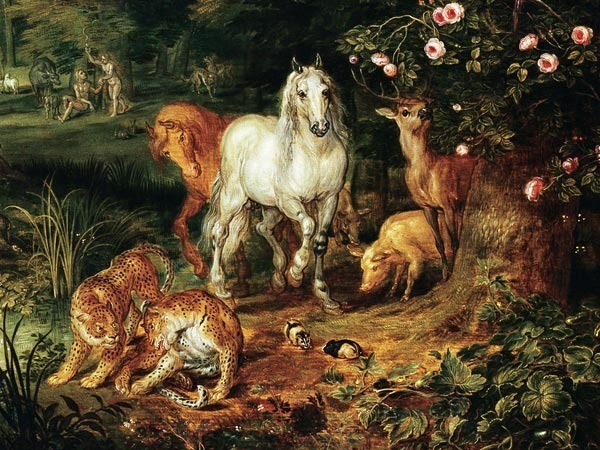 While it is still common today to raise guinea pigs for food in South America, and the pigs undoubtedly provided some occasional measure of sustenance for Europeans, there’s much more to suggest that they were cared for by both middle-class and upper-class Europeans as pets. The skeleton of the guinea pig found in 2007 had no evidence of being processed as food, so researchers are quite confident that the creature was a part of the family—and therefore given its own little burial in the backyard. 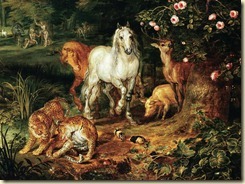 Guinea pigs would have been considered “exotic” animals, due to their origins across the ocean. 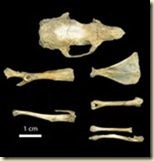 It’s actually rare to find guinea pig bones in the archaeological record, which is why their purpose in Europe during the 16th & 17th centuries has remained somewhat vague until this time. It’s also worth noting that, because guinea pigs are rodents (which tend to have remarkable reproductive capabilities), it’s entirely possible that the whole situation of guinea pigs in Europe may have started with just two creatures being brought over as curiosities… and their presence, needless to say, “expanded” from there.